How did you become involved in AMCP? My engagement with AMCP first started when I was completing my non-traditional PharmD degree out of Nova Southeastern University. As part of program requirements, I had a research project to complete and it was accepted as a poster presentation at the AMCP annual meeting in Orlando FL in 2000. This was my first time attending an AMCP meeting and learning all about what the organization had to offer. What interested you the most about managed care and ultimately led you to pursue a career in managed care pharmacy? Managed care touches every aspect of pharmacy and healthcare. As a pharmacist, I enjoy the ability to have a broad focus and managed care also provides the ability to reach broader populations than a traditional retail pharmacist role that I had started out in. What was your first job or position in managed care? My first 'official' job in managed care was as a concurrent case pharmacist at Caremark Prescriptions Services in Westin FL. I initially took the job because the hours were great and it provided full benefits which allowed me to go to school at night to complete my PharmD. Little did I realize that this job would actually change the trajectory of my career in pharmacy. In my role within the Concurrent Case Management department I was responsible for reviewing patient claims for drug interactions, adherence and duplicate therapies for high cost therapies and transplant medications. These assessments required telephonic interaction with physicians and patients to address gaps in care, etc. This experience was very eye opening to me and I really enjoyed what I was doing and wanted to learn more. However, I would be remiss if I didn't acknowledge that I do feel that indirectly, I was first exposed to managed care as a retail pharmacist where dealing with managed care was a big part of the day to day when filling prescriptions. What does a typical day or week look like in your current role? There is no such thing as a typical day or week in my current role as a Market Access Executive for Celgene! I am a field based (work from home) colleague covering a territory that includes NJ, NY Metro (the 5 burroughs) and CT. My primary responsibilities include protecting, maintaining or improving access for our entire product portfolio with regional health plans in this geography and ensuring appropriate pull through and understanding of overall access across all national payers as well. This includes providing or facilitating business reviews, clinical updates and presentations, daily monitoring of payer policies and alignment with field sales to address questions related to managed care denials and coverage. I spend a lot of my time in my company car and on the phone on conference calls and webex's. Occasionally I head to our corporate offices for internal meetings or travel for national meetings and conferences. What type of interactions have you had with your AMCP student chapter or school of pharmacy? Words of advice?I feel very fortunate to have a wonderful long standing relationship with the Rutgers University Ernest Mario School of Pharmacy. The preceptor from my managed care residency was instrumental in starting the AMCP chapter and elective at Rutgers. As a result of our close relationship, her role as faculty advisor and my desire to give back to my alma mater, I signed up as the diplomat for the University and I have not looked back. Over the years, I have had the opportunity to meet with the chapter in various ways. This has included participation in managed care panels, serving as a guest lecturer, providing guidance to the chapter leadership regarding event planning for the year, serving as a judge for the local P&T competition, attending chapter meetings and events and coordinating student dinner and networking events at national AMCP meetings. I have been very fortunate to both stay involved and be a constant for the chapter. In my opinion, having an engaged and active faculty advisor(s) is a critical success factor in elevating awareness of managed care and AMCP at a school of pharmacy. As the diplomat, persistence in supporting the chapter and faculty advisor as well as leveraging all contacts and resources available to me in whatever role I may be in are all important pieces to the puzzle. For any new diplomats starting out, bring your passion for managed care and desire to improve awareness about AMCP to your role and you will achieve success. Everyone's experience is going to be different, but you are in control of your own so give it your best. How did you become involved in AMCP? I definitely joined in a very unconventional way – I was at a CE dinner and someone was recruiting for a Diplomat for a fairly new pharmacy school in the area, I was very interested in the opportunity to mentor next generation pharmacists who are interested in Managed Care so I volunteered! Of course, one of the requirements to be a Diplomat is to be an AMCP member – so here I am! What interested you the most about managed care and ultimately led you to pursue a career in managed care pharmacy? Honestly, I knew nothing about managed care before my first job at Fidelis Care (a managed care company). When I first moved to NYC 3 years ago, I was hired on as a temp staff pharmacists with focus on reviewing prior authorizations. I was promoted a year later to be the supervisor of a newly created behavioral health-focus pharmacy team. Through this experience, I witness first-hand the impact the pharmacy team can make on a large scale. Now, I just can't get enough of it! We are constantly working on creating, implementing and maintaining clinical initiatives that will better help our most vulnerable members – those with serious mental illness and substance use disorders. What was your first job or position in managed care? I moved to NYC 3 years ago and started as a temp employee at Fidelis Care, today I am the manager for the pharmacy behavioral health team What does a typical day or week look like in your current role? A lot of meetings since I manage about six to seven projects with an interdisciplinary team (IDT) of pharmacists, nurses, social workers, and medical directors – there are a lot of back and forth communications prior, during and after implementation of any projects. My typical day would include a variety of the following: preparing presentation on cost justification of a new project, coding for new reports to obtain key metrics, checking-in with players who are involved with a particular project, keeping up-to-date with any legislative guidance, preparing training material for any new process, training the IDT on new process, etc. What type of interactions have you had with your AMCP student chapter or school of pharmacy? Since I am fairly new, I have attended their P&T mock competition and was so happy to see students who are really dedicated to the preparation and presentation. I have since been in touch with the chapter president here and there when she has general questions about managed care, we agreed that we will likely start to create more structured programs starting fall with the new incoming chapter president Words of advice? Create opportunities for yourself and find what drives you and just keep doing that. It helps to find a strong support system that will call you out when you are doing stupid things and celebrate with you on your accomplishments (big or small). Drink a lot of water and make sure you use sunblock – it really helps with your skin. Treat yourself often (yes, I mean with materialistic things) – you deserve it! Where do you currently work and what is your position title? I am an Associate Director for the US Health Economics Outcomes Research team for Bristol-Myers Squibb. How did you become involved with AMCP? How has it supported your career in managed care pharmacy? I first became involved with AMCP as a first year at the University of Southern California (USC) where I eventually became chapter President. AMCP has been instrumental in the development of my managed care career not only through education but also through networking. In fact, I first met my last two hiring managers through AMCP events when I was a student. What sparked your interest in applying for the West Diplomat Regional Director? As the current co-Diplomat for the USC, it had been my goal to constantly serve and make sure all student events are successful. Selected as the West Diplomat Regional Director, I want to serve as a mentor to other Diplomats and help incorporate best practices for other AMCP student chapters. Provide an example of a successful activity with your AMCP Student Chapter. The USC student Chapter has an event called Building Bridges. This is the largest networking event on campus that brings pharmacists from managed care and industry together in one room. For this year's event, I was able to help the students find funding and help invite pharmacy professionals. How do you envision working with Diplomats and Schools/Colleges of Pharmacy in your region to raise awareness of AMCP and managed care pharmacy? Jeanine Politowicz is the AMCP Diplomat for Ohio Northern University. She works at MedImpact Healthcare Systems, Inc. where she is a Senior Clinical Program Manager. Jeanine graduated with her BS in Pharmacy from Ohio Northern University and with a MS in Hospital Pharmacy from The Ohio State University. She completed both a hospital pharmacy practice and a hospital pharmacy administration residency at Ohio Health - Riverside Methodist Hospital in Columbus, Ohio. She resides with her family in the metro Detroit area. How did you become involved in AMCP? I joined AMCP as a graduate student while I was in finishing my pharmacy residency/Master’s degree program. I had met some managed care pharmacists at an ASHP meeting and realized that managed care was a practice area I wanted to learn more about and potentially pursue as a career path. Joining AMCP was a logical first step for me to begin networking and learn more about managed care. What interested you the most about managed care and ultimately led you to pursue a career in managed care pharmacy? Since I was just finishing 3 years of residency and was used to constantly “changing my focus” with each monthly rotation, the dynamic nature of managed care (especially in a PBM setting) intrigued me. I felt that my residency training/skills would translate well to this setting. What was your first job or position in managed care? I worked for a PBM (ValueRx) as a client facing clinical program manager. My clients were both managed care organizations as well as employer groups. I learned quite a bit in those 3 years, not only about pharmacy, but also about the business world. What does a typical day or week look like in your current role? As I tell the students, there is no such thing as a typical day! One phone call/email can turn my day upside down. 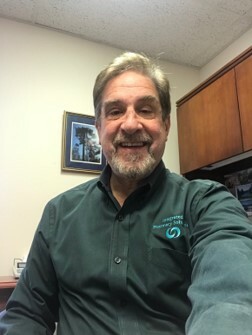 In general, my days consist of answering client questions, helping solve problems, running and analyzing reports for trends and/or clinical intervention opportunities, strategy meetings with my account team, creating presentations, running or participating in both internal or client meetings, and mentoring newer pharmacists in my department. I have held various roles over the years, and in the end, my favorite role is working with clients and helping them achieve their pharmacy benefit goals. What type of interactions have you had with your AMCP student chapter or school of pharmacy? I meet with the chapter twice a year. The presentation topics are a result of collaborating with the student chapter president to find out what areas may interest the students. Topics I have presented include: managed care overview, formulary/P&T process, specialty pharmacy, career opportunities in managed care, and a typical day for a managed care pharmacist (PBM). I am hopeful that I can get more involved with the student P&T competition next school year. Words of advice? Whether you are looking for your first job out of school or the next step in your career path, don’t forget why you went into pharmacy as a career choice and what continues to keep you excited about the profession. Seek out those jobs that will fulfill you personally, not what others think your next move should be. Only you can decide the definition of a successful career. How did you become involved in AMCP? As I was finishing my USC fellowship in health economics, my mentor (Dianne Kane Parker) mentioned that AMCP would be a great way to network with other managed care experts. In culmination of my final research project, my collaboration with WellPoint had already allowed me to see first-hand how valuable managed care pharmacists are in answering health services research questions and other decision making process at health plans. Since then, I’ve continued to participate in both the annual and Nexus meetings as a way to reconnect with my colleagues, share best practices through research presentations, and offer my support through participation in various AMCP committees (from the Professional Practice to the Diplomat Program). What interested you the most about managed care and ultimately led you to pursue a career in managed care pharmacy? My interest in managed care stems from my desire as a pharmacist to evaluate the comparative effectiveness and cost-effectiveness of innovative therapies offered to patients each year and make an impact. Early in my career as a hospital pharmacist, we initiated simple DURs and found that they were easy wins to establish compliance with our formulary and rein in costs. As we became more sophisticated, we offered comprehensive drug reviews as an early precursor to MTM to serve our SNF patients. These first acts ultimately led to completing a fellowship in HEOR, which now has me generating data for managed care pharmacists to consider when making coverage decisions and assessing current treatment patterns for our truly innovative therapy at Kite. What was your first job or position in managed care? My first job in managed care was working as a fellow at USC. My research requirements had me partnering with Pharmacia and WellPoint to examine their retrospective claims in an HIV population. The final publication examined the prescribing patterns and total health care costs of HIV patients in a Managed Care Organization. Specifically, we examined whether HIV-patients treated according to HAART guidelines incurred greater prescription costs, medical costs, and/or combined health care costs versus those treated with non-HAART guideline therapies. So, I guess you could say even my first entrée into managed care was focused on comparative and cost-effectiveness research. What does a typical day or week look like in your current role? In my current role (as Senior Director, Health Economics and Outcomes Research, Medical Affairs, Kite – a Gilead Company), I lead our team in identifying HEOR research opportunities to help define our value proposition for our currently approved product and those in development. On any given day, our team’s research encompasses real world data generation, patient reported outcomes projects, and cost-effectiveness models. We work with a rich data source of patient level data from clinical trials to administrative claims to chart reviews to registries. We work closely with our clinical and market access partners to make sure that the research is both clinically meaningful and relevant to payers. What type of interactions have you had with your AMCP student chapter or school of pharmacy? I’ve met one on one with my chapter presidents and most recently participated in their local P&T competition review as a judge. It’s impressive to see all the work that goes into these competitions for these students in addition to their notable classroom work! I enjoy hearing their perspectives and providing my feedback as a tenured professional. Words of advice? My advice to any new grad is always the same: follow your interests and stay informed about the changing shape of your profession. While there have been many twists and turns along the way in my career, I’ve continued to stay focused on what interests me as the tides of pharmacy have changed. Whether I’m reading about a new cell-therapy technology or evaluating techniques for extrapolating survival, I’m also asking questions and thinking about how this changes the current paradigm. I recently spoke to a group of USC students interested in pursuing pharmacy and shared these words of advice: Believe in Yourself; Never Stop Learning; Follow What Interests You; Tell Your Story; And, lastly, Give Back! I Justin Weiss serves as an AMCP Diplomat for South Dakota State University, College of Pharmacy. He received a BS and PharmD from SDSU and later with a Master's Degree in Business Administration from St. Mary's University of Minnesota. Justin is currently Senior Vice President of Pharmacy Operations for Superior Health Plan (Centene Corporation) and lives in Austin, TX. He serves on the AMCP Audit Committee and is the president elect of the Southwest Chapter of AMCP. How did you become involved in AMCP? I joined AMCP about a year into my first managed care job. I had been a member of a few other state and national professional organizations, but never really engaged. I joined because a colleague of mine invited me along to a meeting. I took my first committee role several years ago, because someone asked if would volunteer. (Hint: Ask people to join, ask them to volunteer, etc...it actually works). After becoming more active, and moving into leadership roles in my organizations, I've now made it a priority for my teams to start having Pharmacy Student rotation sites and we're in the process of working towards a Managed Care Residency at our health plan. What interested you the most about managed care and ultimately led you to pursue a career in managed care pharmacy? I've always had an interest in the economics of health care along with the parts of traditional pharmacy that seemed to be a burden to a lot of pharmacists that are clinicians at heart; profit & loss statements, reimbursement, budgets, and health care policy. Upon reflection, I believe my interest lay within applying principles of drug therapy management to populations of people, as opposed to taking care of one patient at a time. The health care system needs both levels, the policy decision makers and the hands-on-clinicians to provide effective pharmaceutical care to patients. What was your first job or position in managed care? Like many pharmacists, I started my career as a traditional community pharmacist. I transitioned into Long-term care pharmacy after a few years. Shortly after the Medicare Modernization Act passed, a regional health plan was looking for a pharmacist to come on board for the implementation and oversight of their Medicare Part D program. My background in geriatrics and familiarity with Medicare on the nursing home side, turned out to be a match with their needs. Aside from a few tangential experiences in managed care pharmacy, I was really just looking for a change in my career path. It's been nothing but upside since then. I progressed over the next several years into the Director of Pharmacy for that same health plan and then relocated to Texas to take on a new opportunity as a vice president of pharmacy operations at a larger plan. What does a typical day or week look like in your current role? Part of my role is leading our internal pharmacy department team of pharmacists, pharmacy technicians, and nurses that run our daily operations. We're responsible for formulary management, utilization management, clinical programs, claims processing, and drug utilization review programs. I also spend a lot of time across working with the leaders of different functional areas within the company such as finance, care management, network management, account management, and member services to make sure our pharmacy programs are aligned with the health plan mission and strategies. Finally, a portion of my time is focused on state and federal government policy, external vendors, such as our PBM, and providers that are taking care of our members. What type of interactions have you had with your AMCP student chapter or school of pharmacy? I make myself available for the faculty and students for any questions they have related to managed care pharmacy. I try to keep them informed of possible opportunities through AMCP and other managed care organizations that may offer internships or residencies for students interested in exploring managed care. My goal is visit in person as much as time allows and interest demands. In addition to my Diplomat role above, I've started to network with some area college of pharmacy faculty as we move towards our goal of having a clerkship site start in the coming months. Words of advice? Network—always. You never know what opportunities will come from the people you met a few years ago because of what they are doing today. The only thing that is certain is if you didn't meet 'them', nothing will happen tomorrow. It's good to become an expert in a single topic, but never pass up the chance to learn something new or something outside of your domain. As you move up in your career, you must be able to master topics that were at one time foreign to you. Start practicing this skill today if you're not. How did you become involved in AMCP? I was introduced to AMCP during residency training. I attended the AMCP annual meeting, which confirmed my connection to the organization and the role it would have on my career. As my career progressed, it became evident that the opportunities within managed care are vast for pharmacists, yet this area of practice is greatly under recognized. With this in mind, I became involved with the local pharmacy school as the AMCP Diplomat to help increase the acknowledgement of this field of pharmacy for young pharmacy students. What interested you the most about managed care and ultimately led you to pursue a career in managed care pharmacy? My initial training was focused on balancing managed care principles with direct patient care. The intersection of disease management and population health fits directly into the strategy of managed care and was of high interest to me. In addition to being able to make the clinical connections within managed care, the business aspects of health care management has always been extremely intriguing to me. The ability to integrate my clinical background into the development of benefit designs and disease management is what led me into a career in managed care. Managed care also allows pharmacists to highlight their ability to be part of multidisciplinary care teams to maximize the benefit and outcomes for its members. What was your first job or position in managed care? My first position in managed care was as a primary care clinical pharmacist working within Patient Centered Medical Home (PCHM) practices. What does a typical day or week look like in your current role? As director of pharmacy care management at CDPHP, a typical day includes an initial morning touch base with my team to get a pulse on the day and discuss any opportunities or concerns. Checking my email and responding to those urgent requests is also a standard part of my morning. Otherwise, no one day is alike, which is why I love my job! Undoubtedly, the day includes a number of meetings that span from formulary and benefit configuration, quality initiatives, as well as new program design and planning. My day also involves working cross-functionally with internal and external stakeholders. This includes everything from direct patient care, analyzing industry trends, pharmacy utilization management, state and federal regulatory guidance, and more. Each day, I learn something new from different people. This cross-functional learning has expanded my knowledge-base outside of the practice of pharmacy and has allowed me to make better, more integrated decisions about the management of pharmacy services. What type of interactions have you had with your AMCP student chapter or school of pharmacy? CDPHP offers two different APPE rotation experiences for students. This is a great way to interact with pharmacy students and open their eyes to the experiences and career opportunities in managed care. I also serve as the AMCP Diplomat for the local pharmacy school and interact with them on a number of fronts. This includes working with their executive board regarding planning for the upcoming year, assisting with the design and implementation of programs, as well as serving as a guest speaker for student focused events. Words of advice? Get involved early! Network frequently and with those outside of your "normal circle." Ask about the path that someone took to get to their current role or position and determine how you may be able to align similar experiences for yourself. Engage in conversation and ask questions! How did you become involved in AMCP? I was introduced by a co-worker in 1994 and have been very actively engaged since with AMCP. What interested you the most about managed care and ultimately led you to pursue a career in managed care pharmacy? I was more interested in helping others to operate their business is such a way they would improve the value of pharmacy in healthcare. I felt many of the pharmacists that were creating good quality care were held back by poor business management skills. What was your first job or position in managed care? A community pharmacist. What does a typical day or week look like in your current role? My company is designed to take on the most difficult management issues in pharmacy. My best day is when we get a new clients with a difficult problem, and the successful outcome , elevates the value of pharmacy in health care. What type of interactions have you had with your AMCP student chapter or school of pharmacy? Helped organize the chapter, I go back yearly to give a 1.5 hour talk about the opportunities in Managed Care and the value of AMCP. I have also judged the P&T Competition at MCPHS, Boston for 2 years. Words of advice? Explore as many pharmacy career paths as you can, when you like what you do, you will likely be successful, and there are many different paths in pharmacy. And as important, become engaged in the professional association that fits your path to help continue your growth and development in pharmacy. How did you become involved in AMCP? I first became involved in AMCP as a first-year pharmacy student at the UNC Eshelman School of Pharmacy. When I started pharmacy school, it was the UNC AMCP Student Chapter’s first full year on campus and, as a young student interested in learning more about managed care, I was excited to get involved. The chapter had created a leadership position to oversee fundraising and it was available to first-year students. I applied and was selected for the role. Gradually I increased my involvement with the chapter, serving as president-elect my second year and president my third year. What interested you the most about managed care and ultimately led you to pursue a career in managed care pharmacy? My first exposure to managed care was during a course about career paths in pharmacy that I took as an undergraduate at The Ohio State University. This early exposure to managed care pharmacy sparked my interest. I was fascinated by the concept of cost-effectiveness, the potential to have an impact on a population through system-level interventions, and the day-to-day sounded so different from other careers in pharmacy. When I got to pharmacy school, I sought out opportunities to learn more and my interest continued to grow. In addition to learning more about managed care pharmacy, I had the opportunity to conduct research over the course of my second, third, and fourth years of pharmacy school. This provided the opportunity to experience the full research process, from identifying a research question to disseminating findings in the form of multiple manuscripts. While slow and challenging at some points, I found research to be very rewarding; I enjoyed the challenges it posed and the feeling of accomplishment after overcoming obstacles. When evaluating career paths, I wanted to find a way to combine my interest in research and managed care and it seemed that health economics and outcomes research (HEOR) was the perfect way to do this. What was your first job or position in managed care? My first position in managed care was/is as a HEOR fellow with Janssen and Thomas Jefferson University. While I do not work directly in managed care in this role, much of my research is intended to help inform health care decision makers, such as those working in managed care organizations. As a fellow, I have worked on research projects in health services, public health, pharmacoepidemiology, and health economics. Ultimately, the goal of each of these types of research is to improve the health of populations by providing decision makers evidence to inform policies and system-level interventions. What does a typical day or week look like in your current role? My days as a researcher vary depending on the projects I’m involved in and what phase the projects are in. Some days or weeks I might be busy writing and editing a manuscript describing the findings from a study that has been completed. Other days or weeks I may spend much of my time doing background research to inform the design of a new study. Throughout the year I travel to conferences to present research and for professional development. The days spent at conferences are quite different from those spent working in the office as they are filled with networking, educational sessions, presenting research, and meetings. What type of interactions have you had with your AMCP student chapter or school of pharmacy? Each year as Co-Diplomat, I have attended at least one event held by the chapter in Chapel Hill, NC. During each AMCP conference, I find time to meet one-on-one with interested students from UNC. I also attend an informal gathering for UNC students, alumni, faculty, and Co-Diplomats at each conference which is typically planned by chapter leaders. Throughout the year I also interact with chapter leaders when they seek input on strategic planning for the organization. Since I currently live in Philadelphia, I have attended networking events and judged the local P&T Competition for Thomas Jefferson University’s AMCP student chapter. I have also participated in events with Philadelphia College of Pharmacy’s AMCP student chapter. Words of advice? Managed care is an increasingly important part of the US healthcare system and wherever you end up working in healthcare, understanding managed care will provide valuable perspective. AMCP provides many opportunities to gain this understanding and is full of supportive members who are excited to help each other grow. 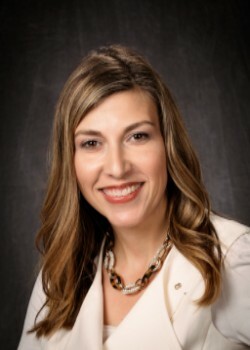 Sheila Stadler serves as an AMCP Co-Diplomat for Regis University and is a clinical pharmacy specialist with the Clinical Pharmacy Cardiac Risk Service at Kaiser Permanente of Colorado. She received her Doctor of Pharmacy from the University of Wyoming and completed a Managed Care Pharmacy Practice Residency in Kalamazoo, Michigan. She became a Board Certified Pharmacotherapy Specialist in 2003 and was awarded Added Qualifications in Cardiology in 2009. Dr. Stadler obtained certification as a Clinical Lipid Specialist in 2016. How did you become involved in AMCP? I had been an AMCP member for a number of years but became more involved when I began working with pharmacy residents and students. I saw an opportunity to utilize the resources and talents AMCP provides to benefit residents and students and to become more of an advocate with managed care. AMCP staff makes it easy and enjoyable to become and stay involved. Managed care principles are present in the healthcare industry and I see this opportunity to provide managed care as part of pharmacy education. The friendships and networking opportunities within AMCP have been a real blessing for me. What interested you the most about managed care and ultimately led you to pursue a career in managed care pharmacy? My pharmacy career began as a hospital pharmacist and it was such a great experience to interact with other clinicians to improve the health of patients. Humana transitioned from hospitals to managed care and it was easy to follow and continue to collaborate with clinicians yet become involved more from a business prospective. I honestly never saw managed care as a career path but the opportunity presented and I accepted. Being involved with initiatives to improve and incentivize well-being and health is important as we move to value based healthcare. I have found collaboration between pharmacists and other health care professionals is the best for the patients/members we support. What was your first job or position in managed care? After my residency, I accepted a position as a clinical pharmacy specialist with the Clinical Pharmacy Cardiac Risk Service at Kaiser Permanente Colorado (KPCO) and moved to Denver, Colorado. KPCO is a nonprofit integrated delivery system that serves over 670,000 members. The Clinical Pharmacy Cardiac Risk Service strives to improve the health of our members with atherosclerotic cardiovascular disease. The clinical pharmacy specialists work as an interdisciplinary team with primary care providers, cardiologists, and nurses to optimize outcomes of over 16,000 patients. Each clinical pharmacy specialist has a panel of over 1,100 patients and care is delivered primarily over the phone or through secure email. What does a typical day or week look like in your current role?My weeks are full of patient care activities, committee work, and precepting. For patient care, my focus is long-term management to ensure that appropriate cholesterol lowering, hypertension, diabetes and smoking cessation medications are initiated and adjusted as necessary. Working through a collaborative drug therapy management (CDTM) protocol, medication changes may be implemented and follow up labs ordered. I chart in the electronic medical record and outreach patients via telephone or secure email to implement our plan. With KPCO's integrated delivery system, we are able to leverage our access to data to provide population management strategies as well. For example, reports are obtained to identify adherence issues with statins, beta blockers post MI, and dual antiplatelet therapy post stent placement. I am a member of the Hypertension Governance Council, a multidisciplinary team that helps develop tools and workflows for the region to improve blood pressure control. I serve on the CPCRS Safety Committee which focuses on safe and effective use of cardiovascular medications and strives to implement innovative programs and provide guidance to practitioners. Finally, I am involved with various research projects and enjoy precepting pharmacy students and residents. What type of interactions have you had with your AMCP student chapter or school of pharmacy? MAlong with my co-diplomats, we were able to help establish AMCP chapters at both the University of Colorado and Regis University. I have given presentations at both schools regarding my practice site and have served as a judge for the P&T competition. What I am most proud of is the development of a Managed Care Independent Study that was started in 2010. This is a course that students can take for elective credit in the summer between the P2 and P3 year. Students actively participate in 12 hours of discussion on a variety of managed care topics. They are matched with a preceptor and spend 40-50 hours on a managed care project. The students present their projects at the end of the course and some students have their projects accepted for poster presentations at national meetings. This independent study has been a wonderful way for students to get hands on experience in managed care early in their pharmacy school curriculum. Words of advice? Network! It is crucial to start building your professional network while in pharmacy school. Get involved in professional organizations and volunteer to serve on committees. Be open to opportunities and build upon your professional skills. It is important to work on your own "personal branding" so you can package yourself to future employers and show them what sets YOU apart from the competition. Debbie Meyer serves as an AMCP Diplomat for Purdue University and co-diplomat for Sullivan College of Pharmacy. She received her pharmacy degree from Purdue University. She currently works at Humana in Louisville, Kentucky and is the Manager of Managed Care Pharmacy Career Programs, Resident Program Director and precepts students on Advanced Pharmacy Practice Experiences. She serves as Vice-Chair for the AMCP Membership Committee, the State Advocacy Coordinator for Indiana, member and Past President of the AMCP Affiliate Ohio-Kentucky. Debbie represented managed care with a joint ASHP/AMCP workgroup on the recently updated managed care standards for pharmacy residencies. The new and goals and objectives for managed care pharmacy residencies were recently approved by the Commission on Credentialing and will become effective July 2018 for Managed Care Pharmacy Residency Programs. Debbie was awarded the 2017 AMCP National Preceptor Award and the University of Kentucky’s 2017 Preceptor Award. What was your first job or position in managed care? My first position in managed care was with Humana to perform prior authorizations for Medicare and Commercial members. I learned quickly that numerous opportunities were present in managed care and I continue enjoying managed care pharmacy and my journey on the road less traveled. What does a typical day or week look like in your current role?There are meetings to attend, work and projects constantly change and need to be prioritized, emails that need a response, planning programs, organizing assignments and supporting students and residents in their respective programs. Every day is different, not typical, but opportunity to be involved and contribute in any role is always present. What type of interactions have you had with your AMCP student chapter or school of pharmacy? My role with Humana allows me to be involved in managed care education as a preceptor for student pharmacists and as a Resident Program Director. There is always an opportunity to interact students at Schools of Pharmacy and student AMCP Chapters sharing practice in managed care. I include managed care principles and application of those principles in Advanced Pharmacy Practice Experience rotations with pharmacy students and with residents within their residency. As president of the Ohio-Kentucky Affiliate we put together a mentor program to serve AMCP student chapters. Our first mentor program launched with the Sullivan COP student AMCP Chapter in 2016 and planning is underway to offer the mentor program to the Ohio State student AMCP Chapter this year. I represent managed care at college career programs and often meet and share managed care with pharmacy students. There is a thirst out there for knowledge and I encourage any AMCP member to get involved. Words of advice? Managed care principles are present no matter the practice setting. Each day is a gift and filled with opportunity. Managed care pharmacy is a small world and it is important to build relationships, develop your professional network, and learn all that you can. Give each opportunity your best, learn something new, and do something to make the day better for someone else; you never know who might be a future co-worker, manager or employee. Be patient with opportunities afforded to you and think more long term than short term when you begin your career. The pharmacy profession will continue to evolve and we should take responsibility to raise the bar for pharmacy and improvements in population health. Ryan Steadman is an AMCP Diplomat with the University of Cincinnati. He currently works for CVS Health on the Pharmacy Benefit Management side as a Strategic Account Director supporting Health Plans. He earned his Pharm.D. from the University of Cincinnati and his MBA from Wright State University in Dayton, OH. Ryan also completed a PGY-1 managed care residency at the University of Pittsburgh Medical Center. How did you become involved in AMCP? My I first joined AMCP during my pharmacy residency and immediately began to network and quickly got involved in volunteer activities to quickly learn more about the industry and more about the AMCP organization. My first meeting allowed me the opportunity to network with some veteran leaders in our industry and that catapulted my passion for manged care and helping to change the healthcare landscape. What interested you the most about managed care and ultimately led you to pursue a career in managed care pharmacy? For me, to be honest I kind of stumbled upon managed care during my last year of pharmacy school. I had always worked retail pharmacy and that was my dream job and career path of choice until my rotations/clerkships opened my eyes to the business side of pharmacy. One experiential rotation in the pharmaceutical industry allowed me to directly interact with healthplans in consultative fashion and that completely changed my career path. Pharmacy and business combined is what truly sold me on moving away from the dispensing and counseling I had planned to make my career. What was your first job or position in managed care? Post residency, I started my first job as a Clinical Advisor (clinical account executive) with CVS Caremark. In this position, I had the opportunity to consult healthplan clients on formulary decisions, trends in the industry and more importantly interact on a daily basis to ensure my clients’ needs were met to service their members (patients). What does a typical day or week look like in your current role? In my current role as a Strategic Account Director for CVS Health a typical day or typical week is non-existent and that is truly what I love about the job. The job itself is really problem solving and strategy combined to help my clients achieve their goals and for members to get the best care possible. I have a great team that works for me and a great support system in my company that allows me to serve my clients’ needs effectively and efficiently. One day I may work on planning for the following years to come and the next day researching market events or regulatory changes that have an impact to my clients. Every day is a new day and some say new challenge, but I like to consider the challenges as opportunities. What type of interactions have you had with your AMCP student chapter or school of pharmacy? The University of Cincinnati currently does not have a student chapter. As their Diplomat, I like to keep the faculty and student body informed of major events occurring in the managed care industry and also inform them of activities and opportunities through AMCP. Each year I lead a handful of lectures/labs on managed care topics such as formulary, P&T and the health insurance landscape. Words of advice? Network, network, network! This industry is a very small but mighty segment of the pharmacy industry and your contacts today will likely be contacts you interact with throughout your career. How did you become involved in AMCP? I was working in managed care and my organization encouraged their PICs to be involved at the state and national levels. I went to my first AMCP and volunteered. This exposed me to some wonderful staff and countless members and that was all it took for me to be hooked. I still consider myself Blessed beyond measure at the contacts and friends that I have found through my affiliation with AMCP. What type of interactions have you had with your AMCP student chapter or school of pharmacy? My initial meetings were interacting with leadership of the College of Pharmacy at University of Arizona. I was able to do a lunch meeting with the students and talk about managed care and AMCP. Eventually this enabled me to do a managed care class for 3rd year students. I also became a preceptor and have had students shadow me outside of rotations. What interested you the most about managed care and ultimately led you to pursue a career in managed care pharmacy? I was honestly interested, because there were so many opportunities. The benefits and flexibility are more in keeping with my own personal preferences. I found the collaboration between pharmacists and other health care professionals to be very positive and beneficial to the patients. What was your first job or position in managed care?My first position in managed care was at Cigna as a staff pharmacist in one of their specialty clinics. What does a typical day or week look like in your current role? Currently, I manage a team of ten temps and we work in a remote office. We are responsible for several different projects. Our primary purpose is to research how drugs are covered for particular diseases. We are largely interested in the prior authorization and step therapy aspects. Words of advice? I would encourage students to get involved and stay open to opportunities. Residencies are great, but your career isn’t over if you don’t get one. You can learn in any situation and from any leader. Pay attention and make the most of what is available to you. LP: The precursor to my current position involved meeting with payers and other entities that were involved in someway with managed care pharmacy. AMCP provided a means to learn more about managed care pharmacy and also resources. The meetings also provided the opportunity for networking. As I attended more and more meetings, I learned about the Diplomat program and now I am a Co-Diplomat with Daniel Shan. DS: When I was a retail pharmacist, I enjoyed being a preceptor and a mentor. I was looking forward to something similar when I came to the managed care pharmacy. In 2013, I volunteered to be a co-diplomat to the University of Saint Joseph. I then developed an urge to help deliver AMCP's messages to the legislatives, and I joined the force of the state advocate coordinators in 2014. I am also very fortunate to have the opportunity to serve the AMCP Northeast Affiliate as a treasurer. What type of interactions have you had with your AMCP student chapter or school of pharmacy? LP: The initial meetings with St Joseph University (SJU) School of Pharmacy were informational, both about opportunities in managed care pharmacy from a payer and pharmaceutical company perspective. Additional meetings lead to the successful formation of an AMCP student chapter. In my interactions with some pharmacy benefit manager companies, I was also able to set up a managed care short term rotational opportunity. Additionally SJU was offered as a site for remote presentations offered by the NorthEast AMCP Affiliate. This last year provided the opportunity for a "speakers bureau" and one of my colleagues who has had considerable experience in the PBM arena, presented the background, inner workings, current challenges and potential managed care pharmacist opportunities at PBMs. DS: After the opening of the USJ's school of pharmacy, Linda Posta and I gave speeches of managed care career to the students. We helped the students establish their AMCP chapter. We have been working closely with the dean, and the chapter advisor, and providing advice to the chapter. In the past, the students helped set up a remote site at the campus for Northeast Affiliate webinar meetings. This year, they successfully established a guest speaker program. They also contributed articles which were published in the Northeast Affiliate newsletters. LP: I have had a myriad of pharmaceutical industry experience dating back to the 1980s including industrial production, quality control, marketing and sales, medical affairs and my current health economics and outcomes research role. The changing healthcare landscape along with the "Big Data" availability provides a forum for the true value of medications to be presented. AMCP was and is a leader in this arena and I found this ability to provide information and data for the betterment of patients very important. DS: It was a great idea to be a part of the team with positive impacts on many lives. I liked both the clinical and the business aspects of the job. I enjoyed the fast-changing dynamics and the endless challenges. I also loved the vast networking and growth opportunities in the managed care pharmacy. LP: My first position where I interacted with Managed Care was about six years ago. My responsibilities were to provide the scientific and clinical support for my company's products to managed care accounts. As the decision making process evolved with the evolving health care landscape, my current position now also entails health economics and outcomes research in addition to the clinical/scientific support. DS: Before coming to the pharmaceutical industry, I worked on the payer side. I started as a Regional Pharmacist Program Manager at Anthem. LP: While my specific responsibilities may change from time to time, I spend a considerable amount of time preparing for interactions with payers and other managed care entities to learn what is of value to these entities. I currently have geographic responsibility for three states which requires some air travel, but is mostly a drivable territory due to the concentrated population of the NYC metro area. There is often cross country travel to attend medical symposia and congresses.There are a lot of logistical considerations in scheduling meetings, arranging travel, administrative tasks such as expense reports, meeting reports which require organizational and time management skills. Since a field based position requires working from your home, there is a degree of self-discipline involved to be fully engaged. DS: My primary responsibility is to provide clinical information to the managed care key opinion leaders. There is no daily routine for my job, so it does take some organization and self-discipline to get the work done. I travel often to attend client meetings, conferences, and offsite meetings. I also spend a considerable amount of time in the preparation for client presentations and scientific exchanges. The rest of my time is spread among training, conference calls, communications, paperwork, emails, and other logistics. LP: If there are students who are not familiar with the changing healthcare landscape, how political and legislative changes will affect current and future implications of managed care pharmacy, scour the AMCP website for the many excellent and current resources. For those students interested in learning more or have an interest in pursuing a career in managed care pharmacy, find a mentor either from your AMCP student chapter Faculty Advisor or Diplomat. DS: Students who are interested in managed care should maximize their benefits from the numerous resources provided by the AMCP. Attending AMCP conferences is highly recommended. Being involved in AMCP events or student chapter functions is a fantastic way to gain experience and network. I also strongly encourage them to consider managed care residence/pharmaceutical fellowship programs, and find a mentor. Peter Lee serves as an AMCP Diplomat for Southwestern Oklahoma State University and a Co-Diplomat for the University of Oklahoma. He received his PharmD from the University of Southern California and attended the University of Oklahoma for his MBA. He currently works at PharmaCorr/Corizon Health as Vice President of Clinical Pharmacy Services. How did you become involved in AMCP? As an AMCP student member, I attended an AMCP annual meeting and it changed my life forever. I was fortunate to do two summer AMCP/Managed Care Pharmacy internships and PGY-1 residency with CVS Health in Irving Texas. I also was blessed to be on the Educational Affairs Committee as a student and even became a chairperson of the committee years later. In addition, I was a member of the Special Projects Committee, Organizational Affairs Committee, Finance Committee, Nominations Committee, and other ad hoc committees. Finally, I received a Spirit of Volunteerism Award from AMCP and recently have been inducted as Fellow of AMCP. What type of interactions have you had with your AMCP student chapter or school of pharmacy? Since we don’t have AMCP student chapters in Oklahoma, I work with fellow Oklahoma AMCP members to help students consider managed care pharmacy as career options via lectures, on-campus presentations, IPPE, and APPE rotations. I try to focus on three things: (1) Potential career options in managed care pharmacy, (2) Successful individual career pathing, and (3) Professional and personal development. What interested you the most about managed care and ultimately led you to pursue a career in managed care pharmacy? My two AMCP/Managed Care summer internships helped me to understand the role of a manage care pharmacist. I also had great mentors like Debi Reissman, Debbie Stern, Darlene Mednick, Robert Navarro, and many AMCP staff members and many others. I loved their dedication, focus, seamless ability to merge clinical, policy and business together to manage population health. I enjoyed the challenges they faced every day and more importantly solutions they brought to address those complex health care issues. What was your first job or position in managed care? I worked at Rxperts Managed Care Consulting as a summer intern under Debi Reissman and Debbie Stern. I learned about the role of managed care pharmacists in health plans, PBMs and pharmaceutical companies. My second experience was via AMCP/Pfizer Summer Internship at Blue Shield of California. What does a typical day or week look like in your current role? Every day is unique and different and that is the beauty of my job. My responsibilities include leading the clinical pharmacy team, formulary management, pharmacy contract negotiations with pharmaceutical manufacturers, group purchasing organizations, pharmacy wholesalers, utilization management programs, trend analysis and continuous quality improvement initiatives. Our pharmacies have APPE rotations in Indiana and Oklahoma allowing me to enjoy investing time in pharmacy students as well. Words of advice? Be pre-qualified for your future dream job: (1) While you are in school, collect current managed care pharmacist job descriptions that you would like to apply in the future; (2) Identify required qualifications and experiences for the position; (3) Strategize ways to obtain those qualifications and experiences during school, your current employment, volunteering, and find additional informal or formal training as needed; and (4) When your future dream job opens up you are now already “pre-qualified” for the position and one step closer to getting your dream job! I currently serve as an AMCP Diplomat for the University of Wisconsin – Madison School of Pharmacy and it is also where I received my PharmD. After graduating, I completed a managed care residency at Navitus Health Solutions, where I now work as a Clinical Account Executive. How did you become involved in AMCP? My initial involvement in AMCP began during my third year in pharmacy school. When I started pharmacy school, I planned to be a clinical pharmacist in a hospital, but I took the advice of my older classmates to keep an open mind to experience as much of the pharmacy world as possible. I took a serious look at managed care in my third year, after working in various areas of pharmacy. During that same year, I attended AMCP Nexus and received some great insight into the different areas where a pharmacist can make an impact. Since then, I have remained involved in AMCP and now serve as a Diplomat. What interested you the most about managed care and ultimately led you to pursue a career in managed care pharmacy? A number of factors got me hooked on managed care. For instance, the decisions we make, as pharmacists, affect an entire population rather than just one person. At the same time, these decisions have an associated cost that require consideration because someone is paying for these medications at the end of the day. In addition, I love the fact that we have the opportunity to work with new medications as they enter the market. These factors, and many more, keep my interest on a daily basis and keep me motivated. What was your first job or position in managed care? My first job in managed care is the position that I currently hold as a Clinical Account Executive. In this role, I work directly with clients to help them better manage their pharmacy benefit. What does a typical day or week look like in your current role? I would say there is nothing typical in my role as each day brings its own unique opportunities. Helping clients manage their pharmacy benefit is challenging because the marketplace has become quite complex. My week can include managing day-to-day clinical issues to help improve the quality of care for client members, providing guidance and consultation, and implementing and evaluating appropriate clinical programs and services specific to a client’s population. I also analyze my clients’ financial and utilization data to identify opportunities for controlling drug and overall health care costs. What type of interactions have you had with your AMCP student pharmacist chapter? I have thoroughly enjoyed my experience working with my AMCP chapter and the students at the University of Wisconsin-Madison School of Pharmacy. I have presented for the AMCP chapter, sat on various discussion panels, and had the opportunity to be a P&T judge for our first P&T competition at the school. Words of advice? I would advise students to enjoy the journey –going through pharmacy school, rotations, applying for and completing residency, and then beginning a career. Life is short and there will always be stressful things that come up; it is up to you to make it enjoyable! Dr. David Campbell attended pharmacy school at the University of Rhode Island and chose to study pharmacy as a way to balance his interests in medicine and business. Dr. Campbell viewed an education in pharmacy as a way to pursue a career where he could apply himself to health challenges at the population level. How did you become involved in AMCP? I first learned about AMCP during my early years of pharmacy school while taking a class on the US healthcare system taught by Dr. Stephen Kogut. I was interested in learning more about how the decisions of health plans were made and informed and was reviewing professional organizations and he mentioned AMCP. Although, at the time there was not an active chapter at my school I became a member and began getting involved in the organization. What interested you the most about managed care and ultimately led you to pursue a career in managed care pharmacy? The ability to influence the healthcare of many patients through engaging in population health issues led me to pursue a fellowship. I am very happy in my current role but so sometimes miss the patient interaction I had working at a community pharmacy and hospital throughout pharmacy education. What was your first job or position in managed care? My first job in managed care was as a Managed Markets and Health Outcomes fellow with Xcenda, which is the consulting arm of AmerisourceBergen. Since completing the fellowship, I have remained with Xcenda as a Manger in Global Health Economics. What does a typical day or week look like in your current role? As a consultant, I work with a variety of clients, across a range of therapeutic areas and work-types so my days vary quite a bit. Broadly speaking about half my projects are related to economic and epidemiologic modeling, and the other half projects are related to global market access. I spend about 80% of my day supporting these engagements and the other 20% of my time is goes to publishing research, precepting pharmacy students, and supporting Xcenda’s fellowship program. What type of interactions have you had with your AMCP student pharmacist chapter? Unfortunately, while I am located in Tampa FL most of my interactions with my AMCP student pharmacist chapter have taken place electronically and at AMCP conferences. I plan to move back to Rhode Island soon, and have many more opportunities to support my chapter in person.Unfortunately, while I am located in Tampa FL most of my interactions with my AMCP student pharmacist chapter have taken place electronically and at AMCP conferences. I plan to move back to Rhode Island soon, and have many more opportunities to support my chapter in person. Words of advice? For students interested in a career in managed care, seek networking events and attend conferences to learn about the wide range of opportunities available. Also, consider applying for residencies or fellowships to accelerate your professional development after graduation. Dr. Fredrick Manasseh grew up in Kenya and moved to the United States with a one-way ticket and enough funds for one semester to pursue college. He worked 3 jobs while going to school full-time so that he could complete his schooling and support his family in Kenya. Completing his undergraduate degree in Biology with a minor in Chemistry and Mathematics at Wichita State University and then continuing on to receive his Doctor of Pharmacy degree at the University of Missouri-Kansas City, as well as receiving Executive MBA, Health Informatics, and Strategic Management Certificates to complement his clinical background. How did you become involved in AMCP? I had a mentor who sponsored my first trip to the annual conference during my second year in pharmacy school. Once I attended the conference, I discovered an unconventional world of pharmacy that got my interest since this was not something that most students are exposed to in pharmacy school. This also motivated me to start a chapter at the university in effort to raise awareness- I believed that there must be other students who would also gain an interest once they learned about managed care. What interested you the most about managed care and ultimately led you to pursue a career in managed care pharmacy? The opportunity to be part of a healthcare decision making team in influencing population health by using both my clinical and business background. It gives me an opportunity to clearly understand healthcare landscape, and think of innovative ways to develop meaningful solutions. What was your first job or position in managed care? My first position in Managed Care was with Express Script, as a Clinical Program Manager/Clinical Account Executive. What does a typical day or week look like in your current role? As a healthcare executive, my role varies from day to day. Some of the critical functions include monitoring the healthcare landscape and becoming familiar with current trends and regulations in effort to developing strategies to manage cost, remain compliant and enhancing patient care by using evidence based principles to produce positive outcomes. I am fortunate to work with interdisciplinary teams to successfully implement, monitor and enhance these clinical programs and solutions. I also serve in various advisory boards providing insight on go-to market strategies and best practices on drug development. What type of interactions have you had with your AMCP student pharmacist chapter? I was the founding member of the chapter at University of Missouri-Kansas City and continued to serve as the Diplomat. I support the chapter in their recruitment activities and founded a scholarship that support students in their final professional years who are interested in pursuing a career in managed care. I am also affiliated with the University of Northern Texas Health Science Center as an adjunct professor teaching Pharmacoeconomics, Public Health and Pharmaceutical Policy- all which involve managed care concepts. Words of advice? Learn to network and build meaningful professional relationships. This has been the cornerstone of advancement and success in my career. Remember to stay positive, maintain the right attitude, work hard, worry less, and remember to have fun! - “It takes just as much energy to worry as it does to believe and have faith” – anonymous. Most things in life tend to work out just fine in the end. The AMCP Student Pharmacist Committee aims to provide student pharmacists with insights into the background of working managed care pharmacists as well as their Diplomat interaction. This month’s profile features Bridget Flavin, PharmD, who serves as an AMCP Diplomat for Regis University in Denver, Colo. Flavin earned her degree from the University of Missouri—Kansas City, and currently works for Anthem, Inc. as a Pharmacist Program Manager. How did you become involved in AMCP? I first became involved in AMCP through my managed care residency. I was very lucky to start out in a place where there was a lot of support for AMCP and many of my colleagues were involved as well. What type of interactions have you had with your AMCP student chapter? My interactions with my chapter have primarily been educational; they are a small chapter with little formal exposure to managed care so they aren’t aware of how many opportunities are available to them. Last year, I attended a roundtable event along with other local managed care pharmacists where the students were able to ask questions about what we do and how we got where we are. I’ve also attended chapter meetings to discuss residencies, the Summer Internship Program, etc. What interested you the most about managed care and ultimately led you to pursue a career in managed care pharmacy? I loved the idea of being a part of trying to lower health care costs and I’m very passionate about a pharmacist’s role in achieving this. When I worked in retail, I could reach maybe a few members at a time and now I’m able to reach thousands. What was your first job or position in managed care? My first job in managed care was as a resident with RegenceRx (now OmedaRx) in Portland, OR where I stayed on as a pharmacist following completion of my program. I primarily did formulary and utilization management and got to work with some exceptional managed care pharmacists; I couldn’t have asked for a better place to begin my career and learn the industry. What does a typical day or week look like in your current role? I’m sure many managed care pharmacists say this, but there is no typical day (or week) and that is one of the things I love about my role. I spend a lot of time working with our sales and account management teams, and attending client meetings; with specialty pharmacy driving so much of the health care trend there is a great deal of need for education and clinical support around its management. I also spend significant time working with our cost of care teams trying to understand both our local and Enterprise trends and what’s driving them. Words of advice? Try to take advantage of opportunities. I think many young pharmacists might let some opportunities slip by them because they think they don’t have the skills or experience, but some of my most rewarding experiences and greatest learnings have come out of opportunities that I thought were way over my head. Try to embrace change. I think most of us will always fear change at least a little, but it’s important to try to embrace it in spite of that. I still struggle with this one even though some of the best things that have happened to me both personally and professionally have been a result of a major change. Don’t love your work too much. Work can be extremely rewarding, but so can living your life outside of work. Always try to have balance. Denise Martinez Jonathan is an AMCP Diplomat at the University of Houston College of Pharmacy, where she obtained her degree. 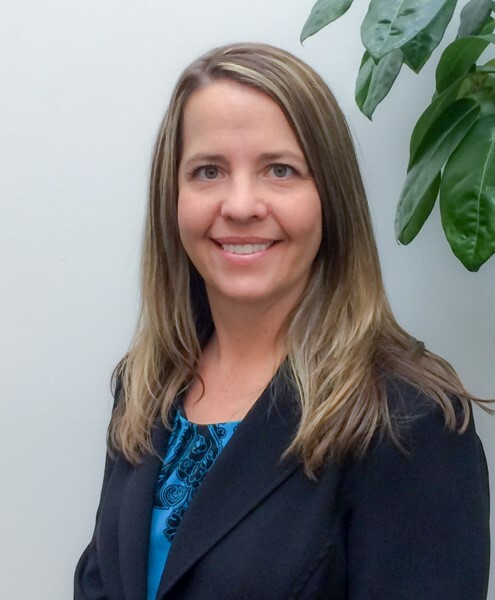 She currently serves as the Director of Pharmacy – Health Plan Services at the Kelsey-Seybold Clinic. AMCP caught up recently with Dr. Martinez Jonathan to get her thoughts on being a Diplomat. How did you become involved in AMCP? I joined AMCP during my residency year. Currently, I serve as an AMCP diplomat and have assisted the University of Houston College of Pharmacy in starting an AMCP student chapter. What interested you the most about managed care and ultimately led you to pursue a career in managed care pharmacy? My first interest was developing programs that could impact an entire population at one time, instead of the one-on-one interactions in a clinical daily practice. This concept is what lead me to Managed Care. What ultimately drives me in Managed Care is the ability to create innovative strategies to improve quality, control pharmaceutical costs, and to improve medical outcomes using analytics and the electronic medical record. What was your first job or position in managed care? My first job in managed care was as a PGY-1 Managed Care resident at Kelsey-Seybold Clinic in Houston, TX. After completing residency, I took an Administrator of Clinical Services positon at Kelsey-Seybold and managed pharmacist-led lipid, osteoporosis, diabetes clinics and initiated the centralized pharmacy anticoagulation services. In 2008, I was promoted to Director of Pharmacy – Health Plan Services and now manage the Medicare and commercial health plans offered by Kelsey-Seybold Clinic in the Houston area, Part D operations for the Medicare Program, Pharmacy Informatics, and Pharmacy Clinical Programs; which include the Medication Therapy Management, Hospital Discharge, Adherence, and RXQI Programs for the clinic. What does a typical day or week look like in your current role? No day is really that typical. I spend a lot of time interacting with members of my pharmacy team, external vendors (i.e. PBM), or team members in different departments throughout my organization (i.e. member services, compliance, marketing, provider relations, health care finance, IT, business intelligence, UM, quality improvement, etc.). What type of interactions have you had with your AMCP student pharmacist chapter? I’ve been a speaker at the University of Houston College of Pharmacy chapter meetings, served as a managed care expert at their first annual AMCP round table event and have served multiple times as a local P&T competition judge. Words of advice? Success is defined by you. Have passion in promoting the profession of pharmacy, love what you do and have fun! Don’t sit back waiting for something to be handed to you. Make your own opportunities! Success will not come to you – You go get it! How did you become involved in AMCP? I became involved in AMCP as a third year pharmacy student by participating in the local AMCP P&T competition. We did not win that year, but it sparked my interest in managed care and provided insight into the roles and responsibilities of managed care pharmacists. My involvement increased after we established the managed care residency at Health Net and then I helped found the student chapter at the California Northstate University College of Pharmacy. What interested you the most about managed care and ultimately led you to pursue a career in managed care pharmacy? What interested me the most about managed care was the ability to improve patient outcomes on a large scale and having the ability to measure the impact of the interventions. The data would give me feedback if the intervention was effective or if it needed to be improved. There are a couple of factors that keep me in managed care. The first is the variety of tasks that I perform on a daily and weekly basis so job is never monotonous. The different tasks ensure that I will be using all my skills and learning new ones. The second reason is that I am consistently reading journal articles and treatment guidelines so that my knowledge remains current. What was your first job or position in managed care? My first position was a clinical coordinator at Pharmaceutical Care Network. This role is provided a good base of managed care principles such as prior authorization, formulary management, interacting with clients, analysis of claims, interacting with clients and Medicare. I took a roundabout way to managed care. I completed a post graduate year 1 pharmacy practice residency and not a managed care residency. Many of the skills from that residency were transferable, but not specific to managed care so it was like a crash course that prepared me for my current position. What does a typical day or week look like in your current role? My typical week’s specific tasks are determined by which project tasks need to be completed for the week. My main responsibility is to ensure all the new drug reviews, clinical recommendations, class reviews and prior authorization criteria are on track to be presented at the next Pharmacy and Therapeutics Committee Meeting. Part of the day could be spent conducting literature evaluation, writing the monograph and preparing the clinical recommendation to present to the P&T committee. Then I will attend a meeting to discuss the clinical guidance to support the business strategy to manage high cost drug classes such as the hepatitis C and the PCSK9s. After that then I might have to work on a project proposal to justify the new system to correctly display the prior authorization criteria so that members and physicians are able to access and read the documents. In between these tasks, I will meet with my Advanced Pharmacy Practice Experience students on rotation, work with the resident on his or her residency project and coach my direct reports. What type of interactions have you had with your AMCP student pharmacist chapter? I interact with the student chapter regularly. I will speak to the incoming first year pharmacy students to help promote managed care and provide reasons to join AMCP. I will also give professional development talks to the AMCP chapter so members can develop those skills. I will provide guidance on how to effectively and efficiently run AMCP events such as round table sessions for managed care residencies and careers, the P&T competition and set up site visits. To promote managed care at the school, I have facilitated the classes that discuss the P&T committee and quality initiatives as well as help the faculty set up a P&T elective. Words of advice? Learn as much as you can about managed care and the roles and responsibilities of a managed care pharmacists in different environments. This will help you to determine if managed care is a good fit for the way you work, your strengths and preferred work environment. Then after you graduate pharmacy school, become a self-directed lifelong learner. Even if you know everything today, the health care landscape changes quickly in terms of laws, regulations, treatment guidelines and member needs so what is true today, may not be true tomorrow. Ronnie DePue, PharmD, CGP, FASCP, serves an AMCP Diplomat for Virginia Commonwealth University. He earned his bachelor’s degree from the Medical College of Virginia at Virginia Commonwealth University and his PharmD from Shenandoah University. He currently is Director of Health Economics and Outcomes Research at Sunovion Pharmaceuticals Inc. AMCP caught up with DePue recently to get his thoughts on the importance of serving as a Diplomat. How did you become involved in AMCP? While working for Coventry Health Care, I became aware of AMCP. The head of our pharmacy department, Rusty Hailey, had several leadership positions within the Academy. He was an advocate for membership and the Academy’s mission. What interested you the most about managed care and ultimately led you to pursue a career in managed care pharmacy? Regardless of your practice setting, all health care professionals will have exposure to managed care in some way, shape or form. I was interested in learning more about the decision-making process and what factors were used to make population-based decisions. I was excited about the opportunity to participate in the P&T process and make decisions that could positively impact the lives of millions. What was your first job or position in managed care? My first managed care position was clinical pharmacist at First Health Services, now Magellan Rx Management. I worked in the clinical call center processing prior authorization requests. That role expanded into clinical criteria development, client presentations and staff management. It was a great learning experience for me and created a foundation of knowledge that I still rely on today. What does a typical day or week look like in your current role? In my current role, I meet with managed care and population-based decision makers to discuss disease areas of interest, potential research collaboration and respond to economic, outcomes, and value-based questions as it relates to our CNS products. I travel about 50% of the time across the eastern half of the United States. When I am not traveling, I am working on internal projects, tool and resource development and serve as a resource for our headquarters’ based staff. What type of interactions have you had with your AMCP student pharmacist chapter? I have lectured at Virginia Commonwealth University’s school of pharmacy on selected managed care topics for almost a decade now, but it has not been until recently that there has been enough interest to form a student chapter. I have met with faculty, the dean and numerous students to discuss the importance of managed care in the curriculum and the value a student chapter can bring to the university. Words of advice? If you are interested in a career in managed care pharmacy, get involved with your student chapter and ask for managed care pharmacy to be part of your school’s curriculum. We need good clinical and retail pharmacists, but we also need good managed care pharmacists. There are so many opportunities in managed care pharmacy, but this area is often overlooked in many pharmacy schools. Take advantage of the tools and resources AMCP provides and attend as many of the live meetings as possible to maximize networking opportunities. I would encourage students to pursue a rotation and/or residency in managed care to further develop your managed care acumen and increase your odds of receiving job offers in a managed care setting. If you are offered employment, even if it is an entry level position, do not hesitate to take it. It will give you a foot in the door and once inside there are many career advancement opportunities. 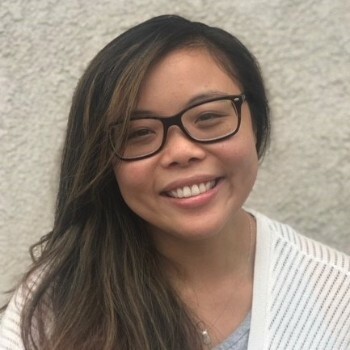 Michelle Jay, an AMCP Diplomat with the University of Maryland Eastern Shore, currently works for CVS Health on the Pharmacy Benefit Management side as a Clinical Advisor supporting Health Plans. She earned her pharmacy degree from the University of Maryland Baltimore School of Pharmacy. How did you become involved in AMCP? I first joined AMCP as a resident at CVS Health and attended my first AMCP meeting during the fall. I had the pleasure of meeting other residents and learning what AMCP’s vision and purpose was. This sparked my interest to become more involved in AMCP and the student chapters, in which I now serve as a co-diplomat of UMES. What interested you the most about managed care and ultimately led you to pursue a career in managed care pharmacy? I first gained interest prior to pharmacy school when I was working at a specialty pharmacy at Pharmacare. The high member level touch points initially piqued my interest as we were focused on the entire member experience and clinical care. Then in school I leaned toward the business aspect by obtaining an MBA while in the pharmacy program and knew that I wanted to pursue a career that would influence a larger population yet still remain clinically focused. A residency in managed care has paved the path to my career today. The ever-changing landscape of health care affects my role every day and keeps me on my toes. There’s never a dull moment! What was your first job or position in managed care? I did a PGY-1 residency in managed care at CVS Health. Post residency, I started my first job as a Clinical Operations pharmacist and then moved onto my current role as a Clinical Advisor. What does a typical day or week look like in your current role? I can’t say there is a “typical” day or week in my role, which makes my job more interesting and challenging. To name a few duties, my role entails me to stay up to date on new drug launches, changes in guidelines, manage benefit set-ups, prepare for P&T meetings, manage formularies, understand CMS regulations and guidelines for Medicare, stay current on Medicaid rules and be strategic with my client to manage their drug spend and trend. What type of interactions have you had with your AMCP student pharmacist chapter? The University of Maryland Eastern Shore Pharmacy School is only a few years old and currently does not have a student chapter. As their Diplomat, I would like to increase awareness of managed care, educate about careers in managed care, and eventually help them start their first student chapter. Words of advice? Become involved in school or organizations that you are passionate about and can proactively participate in. Develop relationships with mentors in your field as they can always help guide you along your career path and provide life advice. Lastly, don’t be afraid to take risks and challenge yourself – set smart goals both short term and long term and do status checks here and there to stay on track. Where do you currently work and what is your position title? Prominence Healthplan Services, as the National Director of Medicare Pharmacy Services. Where did you go to pharmacy school? Mercer University College of Pharmacy & Health Sciences in Atlanta, Ga.
How did you become involved in AMCP? As a student, I joined AMCP during my 2nd year of pharmacy school. I gained a local leadership position and participated in the AMCP P&T Competition, and continued to meet great friends at every conference who have become my professional colleagues after graduation. AMCP is like a little family of managed care professionals. What interested you the most about managed care and ultimately led you to pursue a career in managed care pharmacy? Initially, the business aspect of managed care interested me in being able to evaluate information clinically and gauge the financial impact of decisions, while impacting an entire population at one time. I continue to be challenged every day with the same concepts that initially interested me, so I never have a dull moment! What was your first job or position in managed care? My first job in managed care was as a PGY-1 Managed Care resident at Group Health Cooperative in Seattle. After completing residency, I briefly took a clinical role in Anticoagulation and Anemia Management at Group Health before being offered my position as a manager, and now National Director of Medicare Pharmacy Services within the Catholic Health Initiatives organization, working for Prominence Health Plan Services. What does a typical day or week look like in your current role? No day is really that typical, as the best laid plans often go awry. I spend a lot of time interacting with members of my pharmacy team, external vendors, or leaders in different departments throughout my organization (i.e. marketing, provider relations, finance, IT, customer service, enrollment, quality improvement, etc.). Through these interactions, we develop, plan and operationalize initiatives, address any member or provider concerns that come up, have clinical discussions about authorization requests, and whatever unanticipated things come my way! What type of interactions have you had with your AMCP student pharmacist chapter? I’ve been a local P&T competition judge for UW several times, as well as a speaker at the UW chapter’s career roundtables. I generally meet with the UW students at AMCP. WSU does not currently have an AMCP chapter, which I’ve been working to get established. Words of advice? The best words of advice I’ve received – your first job is your first job. You learn something from every experience you have, so even though your first job out of school is not necessarily going to be your dream job, don’t be afraid to take it and gain the experience that may relate to a future opportunity! Never consider a position beneath you. Where do you currently work and what is your position title? I am a Clinical Account Manager with Magellan Rx Management responsible for the Maryland Medicaid account. How did you become involved in AMCP? Since Temple did not have a student chapter at the time, I first became aware of AMCP when I began researching residency programs. I then became involved through completing an AMCP accredited residency. What interested you the most about managed care and ultimately led you to pursue a career in managed care pharmacy? The part of managed care that interested me the most was the aspects of population health involved in managed care. As a student, I learned the best way to treat one patient. However, in managed care positions, you have to apply that knowledge to a large population and efficiently allocate resources so the whole population receives the best care. What was your first job or position in managed care? My first position in managed care was as the managed care pharmacy resident with Walgreens Health Initiatives. During the residency, I rotated through the many different areas within a PBM. What does a typical day or week look like in your current role? My typical day varies based on the time of the year. In the Spring and Fall the Maryland Medicaid Pharmacy Program has P&T meetings so in the months leading up to those meetings I am preparing clinical documents to present to the committee and evaluating the financial impact of the upcoming P&T recommendations. During the rest of the year, I review new drugs to the market for clinical criteria and provide clinical presentations to the state staff. What type of interactions have you had with your AMCP student pharmacist chapter? I have had a variety of interactions with the University of Maryland AMCP Chapter. I have given presentations, spoke at round table events, judged the local P&T competition, and worked with a small group of students on a research project we presented as a poster at the AMCP Nexus meeting. Words of advice? Get involved and do whatever you can to differentiate yourself from your pharmacy school peers. The amount of managed care pharmacy positions are limited and can be very competitive so make sure you stand out in order to get your first job out of school. A little bit of managed care experience can go a long way in opening subsequent opportunities. How did you become involved in AMCP? I joined AMCP as I was starting my managed care residency with HCA/UT College of Pharmacy and attended my first AMCP meeting as a resident. I had the opportunity to meet diplomats for the local colleges of pharmacy during my residency and in my first position in managed care, and they inspired me to learn more about the variety of opportunities to become involved with AMCP. I now serve as a co-diplomat and chair of the Schools of Pharmacy Relations committee for the 2014-15 year. What interested you the most about managed care and ultimately led you to pursue a career in managed care pharmacy? My interest in managed care pharmacy began with my first APPE rotation in managed care. I enjoyed the project-based work throughout the month and loved applying both clinical skills and economic principles. I enjoyed analyzing data to help guide decisions. What was your first job or position in managed care? My first position was Clinical Pharmacist with Cigna-HealthSpring in Nashville, TN. In that position, I was able to learn about CMS, Medicare Advantage, and Medicare Part D plans. My responsibilities included reviewing coverage determinations, organizing P&T committee meetings, and working with formulary submissions. What does a typical day or week look like in your current role? In my current role, I work with Medicare and state Medicaid programs on billing compliance issues for drugs, biologics, and clinical trials for Hospital Corporation of America, which includes hospitals, physician practices, and ambulatory surgery centers. I track new FDA approvals, review CMS guidance and rules, research coverage questions, and work with providers in understanding the various parts of Medicare and how drugs are covered. What type of interactions have you had with your AMCP student pharmacist chapter? I work closely with my co-Diplomats, Glenn Belemjian, Lipscomb University, and David Black, University of Tennessee. Glenn and I work with the Chapter Advisors and leadership at Lipscomb for any resources and support needed for activities including the P&T Competition, Pharmfest, Health Care Exchange events, and CMS Certification training with Tennessee SHIP. David and I present to students at University of Tennessee on managed care pharmacy including providing lectures, meeting with student leaders, and participating in career fairs. Words of advice? Treat everything as an opportunity to learn – No matter which internship or rotation you have as a student, learn everything you can. Managed care principles are present throughout the health care system, and looking at issues such as patient access, cost-effective care, and appropriate utilization of medications will serve you and your patients well, no matter the practice setting. Also, continue to develop your professional network - you never know when you are meeting your future co-worker, manager, or even future employee. Where do you currently work and what is your position title? I currently work for Prime Therapeutics, LLC, where I am a Clinical Program Manager. I focus on creating Health Insurance Marketplace drug strategies for all Prime clients within this market sector. How did you become involved in AMCP? I got involved in AMCP when the first chapter was just starting at the University of Minnesota. I was approached by my classmate, Abby Stoddard, to join the University of Minnesota's first-ever Pharmacy and Therapeutics team to enter into the national competition. Although we didn't pull off the win, Abby and I both ended up getting hired at Prime to work with our Blue Cross, Blue Shield clients on the real deal. What type of interactions have you had with your AMCP student chapter (e.g. presentations, P&T competition, fundraisers, etc.)? My co-diplomat, John Mbagwu, and I have been able to engage with our student chapters in both the Twin Cities and Duluth. We attend a couple of the student meetings each semester to make sure students know they can use us as a resource. In 2014, the University started a new self-study course where the students present to each other a new managed care topic each week for discussion. John and I attend the class to offer real-world insights for discussion with the students. For the first time this year, I served as a local judge for our P and T competition. The University of Minnesota had six high-quality teams participate this year. Thanks to the support of Dean Randy Seifert, the participants receive elective course credit for completing the competition. Words of advice? I encourage students to make their own opportunities within managed care. Even if your college doesn't offer managed care electives like the University of Minnesota, your AMCP diplomat can help to organize shadowing opportunities or serve as a mentor in the field. Don't underestimate the power of building your network in the field. How did you become involved in AMCP? I became involved with AMCP while investigating post graduate opportunities dealing with population-level decision making and outcomes research. AMCP was the first organization I came across that addressed topics that really spoke to my interests as a student, and now, as a professional. After completing a post-doctoral fellowship in pharmaceutical economics and policy, I took my first role in an HEOR consultancy and aimed to continue my involvement with AMCP. Since I have always enjoyed working with students, I reached out to my local AMCP diplomat to determine whether we could co-support the University of Maryland School of Pharmacy. What type of interactions have you had with your AMCP student chapter? In partnership with the AMCP student chapter, we've delivered student/faculty round tables, conducted and published joint research projects with students, participated at professional development round tables, delivered presentations to AMCP student chapter regarding my career path; and acted as a mentor to an AMCP student. What interested you the most about managed care and ultimately led you to pursue a career in managed care pharmacy? Working as a retail pharmacy intern, it became clear very earlier on that much of the decision making that determines medication choice happens far above the corner pharmacy. As I started to peel back the onion around this topic, managed care pharmacy emerged as potential career path. Simultaneously, I had been involved with 4 internships in the pharmaceutical industry; starting in bench research and progressing to medical affairs. The latter position provided exposure to the world of health economics and outcomes research and the impact of this research of healthcare decision making. In partnership with my mentor, Albert Wertheimer, we conducted my first outcomes research project, which helped improve my candidacy as a post-doc outcomes research fellow. As an outcomes liaison in the pharmaceutical industry, it’s rewarding to partner with managed care colleagues through scientific exchange. What was your first job or position in managed care? My positions have always been tangential to managed care. My first role was as a Market Access Manager for Pharmerit North America. What does a typical day or week look like in your current role? Our department supports the entire portfolio of Janssen pharmaceuticals. With 5+ therapeutic areas of focus, I find myself constantly studying and learning. Regarding travel, we are on the road 50-75% of our time in theory. In practice, that can feel like 0% or 100% depending on the needs of our customers. Beyond preparing for customer appointments, I sit on a number of clinical and quality oriented committees within Janssen Scientific Affairs. I feel constantly challenged and my growth is supported by a strong management team. Words of advice? Look for opportunities to differentiate yourself at all times and be proactive in seeking out these opportunities. Try to be well rounded and personal; not, a pharmacy student robot. There are a million smart students, what makes you memorable? It's not who you know, but who knows you. How did you become involved in AMCP? I attended a student chapter meeting during my first year of pharmacy school. From that point, I was elected into the student chapter leadership team and attended my first AMCP National Meeting. During that time, our group was able to network with other AMCP student chapters and look for ways to strengthen ours. I have been a member ever since that time. What type of interactions have you had with your AMCP student chapter? I do my best to serve as the MSOP AMCP Student Chapter’s managed care advisor and mentor. Because I also teach a managed care pharmacy course at the school, I have several chances to meet with the students and to work with them on developing their understanding of the managed care pharmacy landscape. In addition to the course, I have served as a guest speaker at chapter events and hosted a leadership lunch where I spent time with the chapter leadership team and discussed career mapping and opportunities in managed care pharmacy after graduation. During the AMCP National Meeting, I set up time to meet with the MSOP student chapter to answer any questions they have and help them to navigate the conference. I also spend time introducing them to the AMCP leadership team and active members who are willing to share time with them so they can learn more about what managed care pharmacists do in a typical day at work. Words of advice? My words of advice for AMCP student chapters and aspiring managed care pharmacists – Managed care pharmacy is going to be a part of your pharmacy career regardless of whether you choose to pursue a managed care position or any other pharmacist role. Understanding how insurance works within the health care system will help to make you a better pharmacist and to better serve your patients. Get involved in your local AMCP student chapter and gain an appreciation of how managed care pharmacy can help to keep health care affordable for the foreseeable future. How did you become involved in AMCP? My original involvement with AMCP came when I was working in the Pharmaceutical Industry and Sharon Montgomery, one of my mentors, recommended and supported my membership. What interested you the most about managed care and ultimately led you to pursue a career in managed care pharmacy? Managed Care pharmacy seemed like the inflection point where clinical pharmacy and economics met. I appreciate the clinical science involved with prescription medications; however, I see the managed care aspects of pharmacy as the exciting area where key decisions occur on the changing landscape of pharmacy and healthcare. What was your first job or position in managed care? I was a National Account Manager responsible for contracting and formulary access for a pharmaceutical company that provided products to the large Health Plans and PBMs in the United States. What does a typical day or week look like in your current role? My day varies mainly due to the fact that I lead a team of pharmacists that manage a large health plan’s daily and future needs for five separate lines of business. We have regularly weekly scheduled touchpoints with internal PBM partners and the client for benefit plans covering Medicare, Medicaid, Commercial, Health Exchanges and Workers' Compensation. For the government related business, my team and I constantly are looking at weekly updates from CMS or the State Medicaid Agencies on the regulations surrounding pharmacy benefits. I also spend time within ESI as part of various leadership workgroups looking at the products and services we provide now and in the future for our clients. What type of interactions have you had with your AMCP student pharmacist chapter? I have participated in the new member orientation meetings, attended the Chapter Leader Dinners to discuss goals for the upcoming year, and sponsored fund raising activities. Additionally I have lectured to students on Career Opportunities in Managed Care. I have also had the pleasure to mentor a few students, one of which luckily went on to successfully complete a Managed Care Residency in Managed Care and now works for a large Health Plan in Florida. Words of advice? Be able to answer the question: What is my value? Always evaluate your individual work in terms of results or outcomes you deliver which is just like we should evaluate all things in healthcare! Where do you currently work and what is your position title? I work for OmedaRx (formerly known as RegenceRx), a national pharmacy benefits manager (PBM) located in the Northwest, where I am the Manager of Clinical Pharmacy Services. How did you become involved in AMCP? Participating in the local and national AMCP P&T competitions really sparked my interest in managed care and in AMCP. From there, I became active in the University of Washington AMCP Chapter where I served as the President-Elect and subsequently the President. I was fortunate enough to be accepted into the AMCP/Pfizer, Inc. Summer Internship Program after my second year of pharmacy school and completed my internship at RegenceRx. This experience really solidified that managed care pharmacy was the career path for me. What type of interactions have you had with your AMCP student chapter? I work with the University of Washington AMCP Chapter throughout each school year. I support the chapter by giving an overview of the P&T competition, serving as a judge for the local P&T competition, lecturing in the Managed Care Elective, and participating in a round table event where I discuss my current role and the OmedaRx residency program. This coming year I hope to plan a social event like dinner or happy hour with the chapter leadership team. What interested you the most about managed care and ultimately led you to pursue a career in managed care pharmacy? The things that interested me the most about managed care were the opportunity to do something new and different every day and the opportunity to really apply my clinical and analytical skills to research newly approved medications. Formulary management was the particular area of managed care pharmacy that I was drawn to, and participating in the P&T Competition and completing the AMCP Foundation/Pfizer Summer Internship Program really solidified my interest in pursuing a career in this field. What was your first job or position in managed care? My first managed care position was as a Clinical Pharmacist Consultant with OmedaRx (formerly RegenceRx), the pharmacy benefit manager for the Regence Blue Cross and Blue Shield health plans in the Northwest/Mountain region. My primary responsibilities included authoring medication monographs to present to our P&T Committee, developing medication policies for prior authorization, and supporting an external client who uses our clinical services. What does a typical day or week look like in your current role? In my current role as the Manager of Clinical Pharmacy Services for OmedaRx every day and every week is different, which is one of the things I love most about my job! A typical day for me consists of working with our team of pharmacists to develop and manage our formulary and utilization management strategies, attending lots of planning and strategy meetings, and evaluating the newest developments in the hepatitis C marketplace. I also have the privilege of working closely with and mentoring our pharmacy residents, which is another one of my favorite parts of my job! Words of advice? As a very wise pharmacist once told me, it’s not just about what you know – it’s about who you know and what they think about you. Pharmacy is a small world and managed care pharmacy is even smaller, so be friendly, stay positive, and always put your best foot forward! How did you become involved in AMCP? I became involved with AMCP early on as a pharmacy student at USC, having been Vice-President, and participating in the P&T competition, representing USC twice on the national level. I was also a student member on the Schools of Pharmacy Relations Committee and continued my committee service after I graduated. I was the chairperson of the SOPR Committee and a member of the Membership Committee, Program Planning & Development Committee, Nominations Committee, Educational Affairs Committee, and previously served as a State Advocacy Coordinator. What type of interactions have you had with your AMCP student chapter? I typically help with any presentations that UCSF needs, whether it be for the P&T competition, roundtable events, or the annual banquet. I have judged the P&T competition for the last 6 years and continue to mentor many of the AMCP student pharmacists. What interested you the most about managed care and ultimately led you to pursue a career in managed care pharmacy? My interest in managed care started early in pharmacy school through the USC School of Pharmacy AMCP Student Chapter, the P&T competition, and 2 summer internships in managed care. 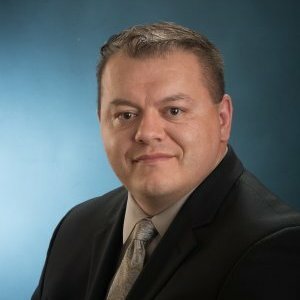 I was given an opportunity after pharmacy school to work in managed care consulting and now use my managed care experience in the pharmaceutical industry. What was your first job or position in managed care? I worked at Rxperts Managed Care Consulting as a Clinical Consultant and Program Manager under Debi Reissman, PharmD and Debbie Stern, RPh. What does a typical day or week look like in your current role? There is no typical day or week as a medical liaison. My week is usually filled with traveling to customer accounts, delivering presentations, training calls, and lots of email. My responsibilities include providing clinical, scientific, and pharmacoeconomic support to managed care customers, assisting in the development and communication of pharmacoeconomic analyses and health outcome studies, and building professional relationships with key managed care decision makers. Words of advice? This is your time as student pharmacists to learn as much as you can about the pharmacy profession – ask questions, get involved, and network! How did you become involved in AMCP? I was the Chapter President for USC's student pharmacist chapter. What interested you the most about managed care and ultimately led you to pursue a career in managed care pharmacy? I am the type of individual that gets bored very easily. I love the fact that the managed care environment is constantly changing. Additionally, I love working on long term projects so I felt that managed care was a better personality fit for me. What was your first job or position in managed care? My first job was with Blue Shield of California in their Outcomes and Analytics team. I build prospective and retrospective models for Blue Shield clients. What does a typical day or week look like in your current role? As most people in managed care will say, there is no typical day. The only typical thing is that when I walk in the office each morning I get my cup of coffee and check emails. After that, it is filled with meetings, projects, and other activities that vary from day to day. What type of interactions have you had with your AMCP student pharmacist chapter? I give managed care presentations throughout the year (e.g. Managed Care 101 and Formulary Design) and attend board meetings. Words of advice? Only worry about the things in life where you have control.